Nero Multimedia Suite 10 is marketing itself as a three products in one solution. It incorporates Nero Vision Xtra, Nero Burning Rom, and Nero BackitUp & Burn. I got some hands on time with the complete suite and I have to say, that if you are looking for a simple PC software solution that encompasses video editing, ripping, and backing up – Nero has got you covered. The suite’s interface on the surface is no frills. But it’s not meant to be – it’s meant to let users navigate and create content easily without having to be Steven Spielberg. Alamat Rumah : 1. Jl. K. Pattimura, No.82, Jambi. 2. Desa Ladang Panjang, Kec. Sarolangun. 6. Strata II ( S-II ) Hukum Universitas Jambi. 4. 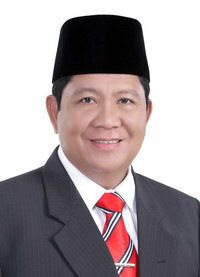 Pengurus DPW PAN prov. JAmbi s/d 2009. > Untuk Mendapatkan Bantuan Hukum Gratis. trus, yang udah klik dan bergabung dengan grup.. thank's regard dah..